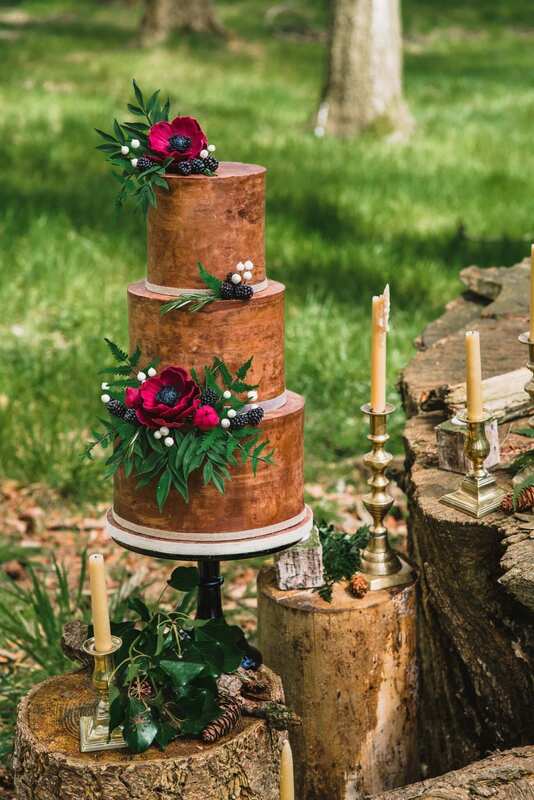 It’s tradition to have a wedding cake, but who says you have to stop there? Transform your celebration into an epic event with the addition of a wedding dessert table. While a wedding cake alone will look incredible, a dessert table will really ramp up the wow factor. So, indulge in our delicious ideas on how you can make your day mouth-watering with a dessert table. 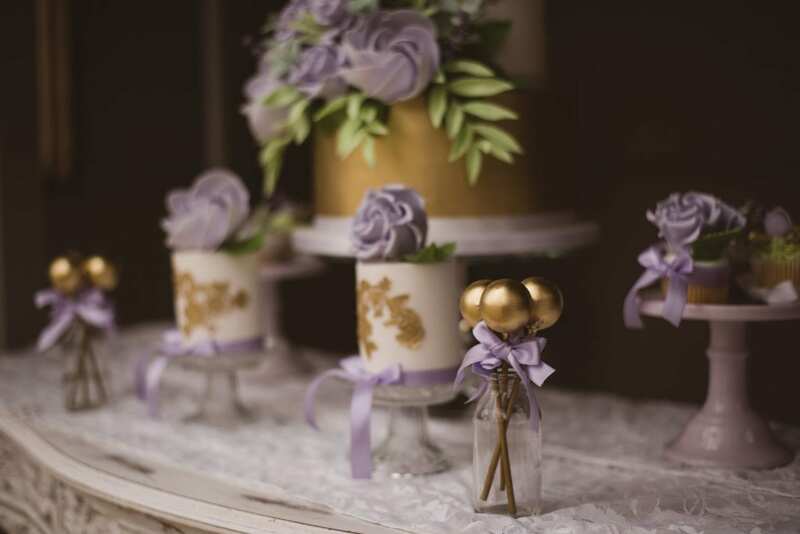 If you do plan on having a wedding cake, make it the focal point of your dessert table and work the other details around the cake as a centrepiece. Grab your guests’ attention by displaying the desserts at varying heights to create interest and to make it look like there is an abundance of food. 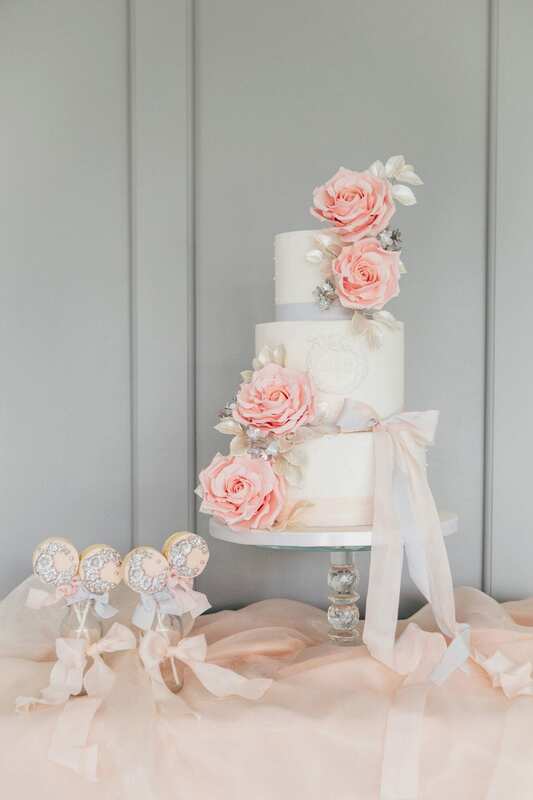 For statement wedding cakes in Hampshire, I can certainly help to create a design to suit your dessert table. It’s not just bespoke wedding cakes that I specialise in! I can create a variety of treats that will tempt your guests, so if an actual wedding cake doesn’t take your fancy, don’t fret! You can offer an array of delicious delights instead. 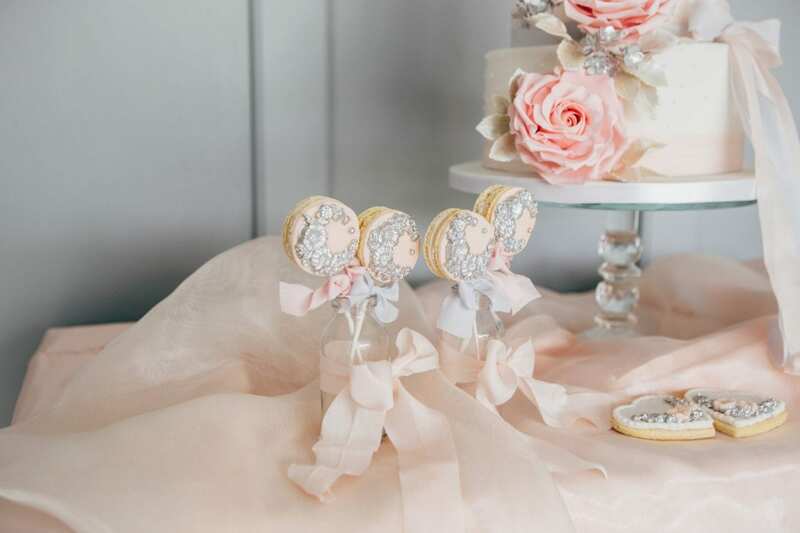 Macarons are having a real moment in the wedding industry, or you can devour a mini cake in just one bite. 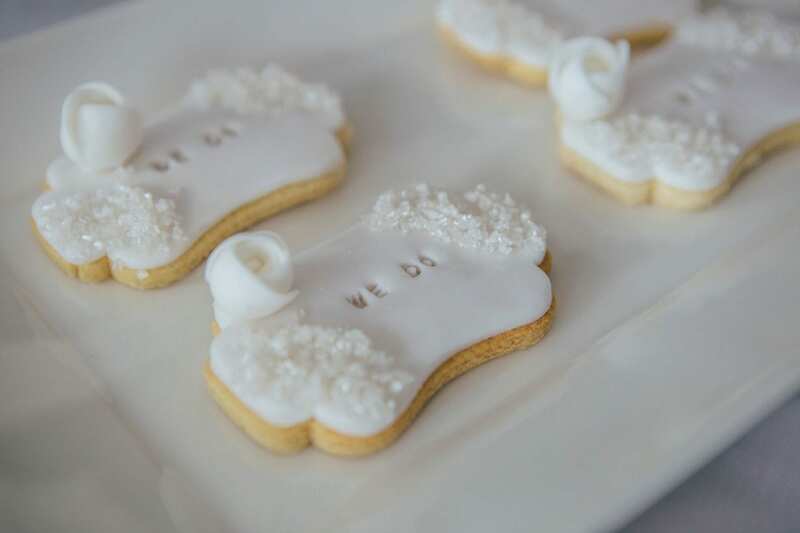 Or for the cookie-loving couple, my luxurious cookies will add a personal touch to your dessert table. Spoil a sweet tooth with cake pops – they’re fun, stylish and taste just as good as they look. There are plenty of options to suit everyone, so get in touch if you’d like to find out more about the treats that can tickle your taste buds. It’s time to think about how you’re going to decorate your wedding dessert table. We recommend styling it to suit your overall theme and colour scheme so that it ties in beautifully with the rest of your celebration. There are lots of lovely ways that you can add a decorative touch to your dessert table, from ribbons, runners, candles, foliage and flowers. Don’t forget to consider the stands, scoops, bowls and even the serving spoons you use. Alternatively, make your cake table stand out from the crowd with a statement backdrop! You don’t have to display your dessert table on a table either, so don’t be afraid to get creative. 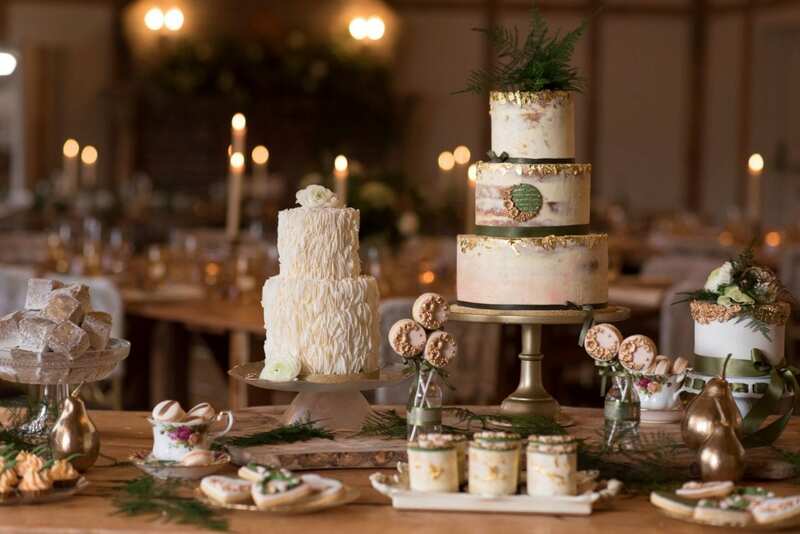 I’m smitten with the thought of using hanging installations, antique-style carts, shelving and even a vintage dresser to display your desserts. They are the perfect choice if you want to add a dash of quirk to your big day. A dessert table will really take your wedding day reputation up a notch, providing your guests with a variety of edible options to graze on after the breakfast. The best news? It will suit all ages so each and every guest is guaranteed to love it. Looking for wedding cakes in Dorset? 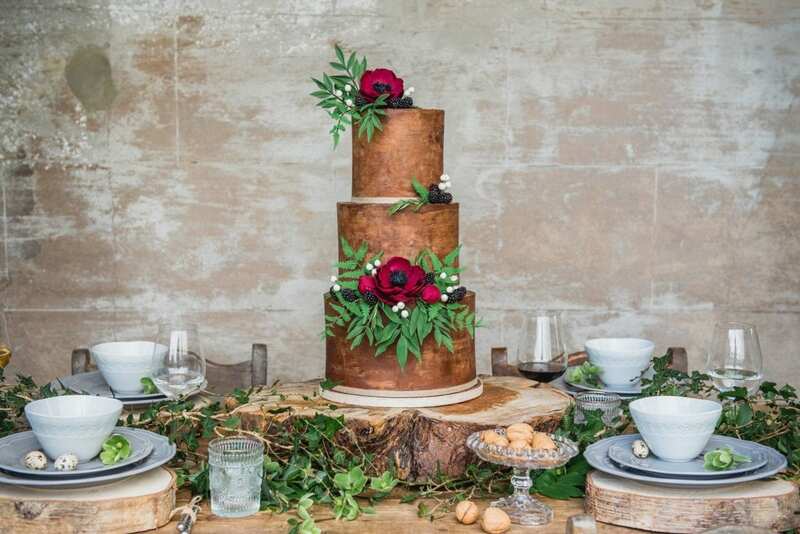 Find out more about how I can be a part of your wedding day or if you’re searching for style-led wedding cakes, get in touch with Hayley Elizabeth Cake Design today.